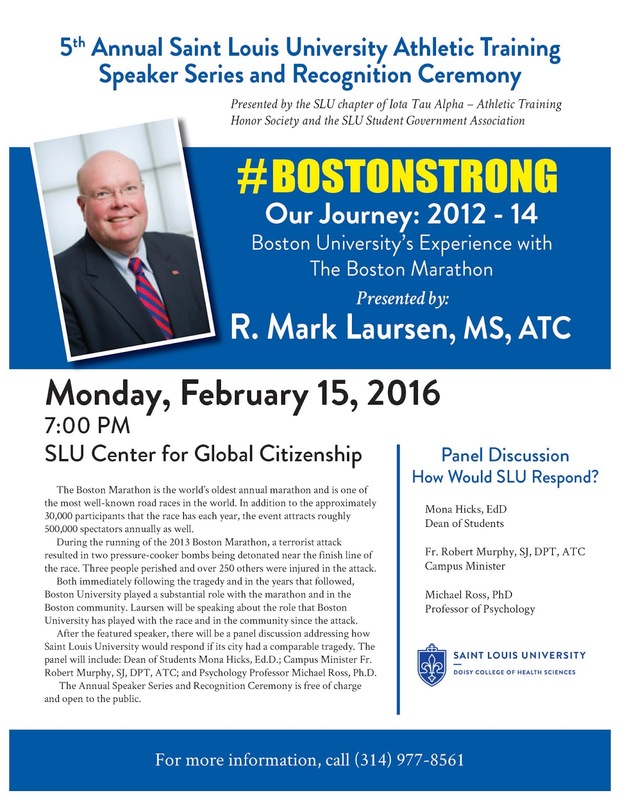 Keynote speaker Mark Laursen, MS, ATC, will be speaking about the role that Boston University has played with the Boston Marathon and in the community since the attack. 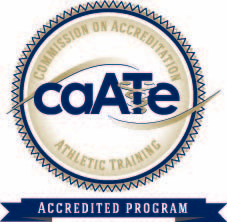 He is a Clinical Associate Professor and the Director of Athletic Training Services at Boston University. After the featured speaker, there will be a panel discussion addressing how Saint Louis University would respond if our city had a comparable tragedy. The panel will include: Dean of Students Mona Hicks, Ed.D. ; Campus Minister Fr. Robert Murphy, SJ, DPT, ATC; and Psychology Professor Michael Ross, Ph.D. Prior to the presentation, the SLU chapter of Iota Tau Alpha, the National Athletic Training Honor Society, will induct its newest members. The 5th Annual Athletic Training Speaker Series and Recognition Ceremony, supported through funding from the Student Government Association, is free of charge and open to the public. For more information email atep@slu.edu or call 314-977-8561.